According to a report, the husband allegedly poured kerosene on his wife, and then set her ablaze. Meanwhile, the man is absconding. 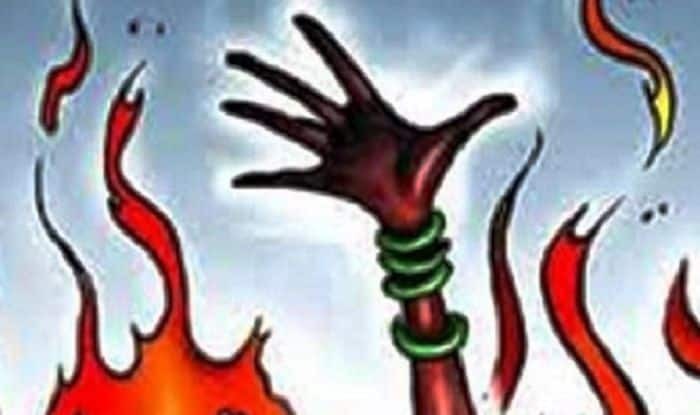 Greater Noida: In a fit of rage, a husband allegedly set his wife on fire. The 33-year-old woman was rushed to a district hospital in Noida and later, to Delhi’s Safdarjung hospital. As of now, the victim is undergoing treatment. According to a report, the husband poured kerosene on his wife, and then set her ablaze. Meanwhile, the man is absconding. The woman was rescued by neighbours after they heard her cries. Police said that the couple had been fighting for long. “By the time police reached, a man named Raju Sharma had already rushed the woman to Sharda Hospital. From there, she was sent to the district hospital in Noida,” a police official told a leading portal. However, a complaint has not been registered yet. The couple work as construction workers. In an earlier incident, a 60-year-old man, who used to work in a farm in Badhiwala village in Muzaffarnagar district, was killed by his colleague following an altercation and his body was set on fire. The accused was arrested, police said. According to a complaint lodged by farm owner Bhupender Singh, Yogesh was killed by Ranbir with a sharp weapon over some dispute and set the body on fire to destroy evidence, a police official said. The half-burnt body was sent for post-mortem and Ranbir was arrested.